The capital of India is full of colors and carries a vibe that is unique to this metropolis. It has an aura about it which is hard to match. Delhi is bold and loud, and you will notice it the moment you land in the city. People from all around the country travel to Delhi for varied reasons, including and not limited to business, tourism, recreation or just because they want to head North and Delhi acts as a junction. Most people from major economic zones like Pune, Bengaluru, Mumbai, Chennai travel to Delhi for business or lifestyle purposes. If you are going to Delhi from Pune or Bangalore, make sure you check out Delhi’s nightlife because you will not be disappointed. Book Pune to Delhi flight tickets in advance on Yatra, India’s leading travel portal to grab best offers. 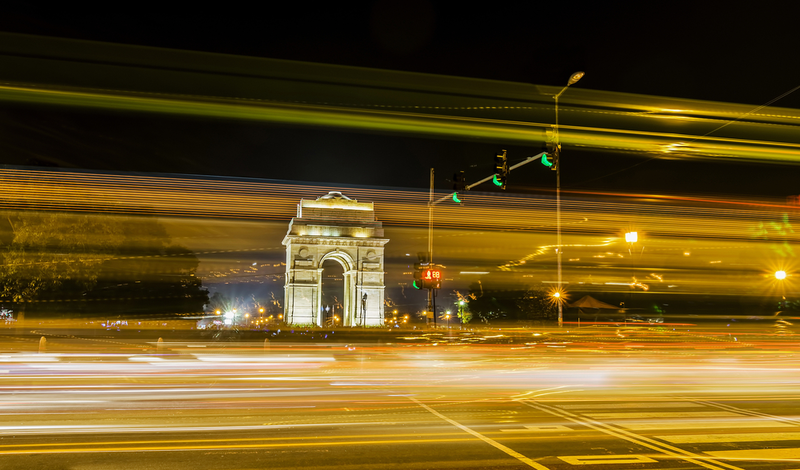 Delhi’s nightlife is varied and carries a subtle touch of vibrancy. It has some of the world class pubs and places to party, and they scream luxury in all notes. Kitty Su is nestled in The Lalit Hotel and is known for the art of partying. It is one of the most famous clubs in Delhi. Kitty Su is known for its mystical urban aura which entertains all nightlife lovers. The super luxury and astonishing interior bridge the gap between the traditional and modern. The nightclub hosts international DJs on a regular basis. You will witness Delhiites in full swing at Kitty Su, and if it is your first time, you better be ready with your dance moves. With a full-fledged bar and multi-cuisine food options, partying at Kitty Su will be an exhilarating experience. Snuggled in the heart of New Delhi’s at Shangri-la’s Eros Hotel, Privee’ – The Ecstasy is the reason why Delhi never sleeps. Brimming with luxury, Privee’ is known for hosting the best dance nights in Delhi. The finest place in Delhi to party, Privee’ checks the comprehensive list of what party animals need. It boasts a massive dance floor and superlative VIP area which adds a touch of luxury. Privee’ is known for its vibrant LED display that hits your sensory perception as soon as you step in the club. It is the magnum opus of the nightclubs in Delhi. Paparazzi Co. is located in the posh by lanes of Greater Kailash 2 and is a famous place to chill and party at the same time. This high-end lounge is drowned in velvet and gold, which comes to life with bright LED mood lights. For the quaint types, it also has spaced out table for the privacy. With a plethora of favorite music genres played by the resident DJ, it is a place where all the Dance Queens and Kings come to spice up their evenings. Nestled in the luxury hotel Le Meridien in Gurgaon, I-Kandy is the ultimate party destination to let your hair down. An attractive place which is known to host Celebrity DJs, unique music festivals and dance nights. I-Kandy is the epitome of style, glamor, and sophistication. It offers a broad range of cocktails and has an extensive wine cellar from around the world. The seating arrangement is all urban with umbrella styled patios and cabanas. The Sky Bar at Rajouri Garden offers an all-embracing menu ranging from Mexican to Italian cuisine. It is a blue themed lounge and is dedicated to making one’s time memorable. The place hosts live music sessions recurrently to keep the party drive going. They also serve the best Mushroom Risotto in entire North Delhi. Delhi is truly a lively city, and these party destinations mentioned above are some of the best places in the city. Make sure to stop by these locations when you are visiting the capital city. The metropolis is known for its assorted colors and is an insight into the culture, history and modern state of living. Book Pune To Delhi Flight Tickets in advance, and you will have enough to spend partying at these destinations!